Arthur R. Schmidt, 87, of Mesa, AZ, passed away on July 8, 2016. Born in Santa Barbara, CA, he was raised and lived most of his life in the Minneapolis/St. Paul, MN area. Arthur met his wife, Jean M. Ellingwood, while both were attending the University of Minnesota. They were married on March 21, 1953 in Minneapolis and later had their marriage sealed in the LDS Temple in Idaho Falls, ID. He was a graduate from the University of Minnesota School of Dentistry. Together they had seven children. Arthur loved hunting, fishing and camping with his family. He was an avid skier and loved waterskiing and boating. He loved playing sports with his children and actively supported each one of them. With his family, he created many fond memories during family vacations, camping and canoeing trips. Arthur remained a strong and devoted member of the LDS Church throughout his adult life, serving as Bishop twice as well as many other Ward and Stake callings. After an extraordinary career as a dentist, he retired and together with Jean moved to Mesa, AZ in 1999. After nearly 50 years of marriage, Jean passed away in 2002. Shortly thereafter Arthur married Peggy Ennis in the LDS Los Angeles Temple. 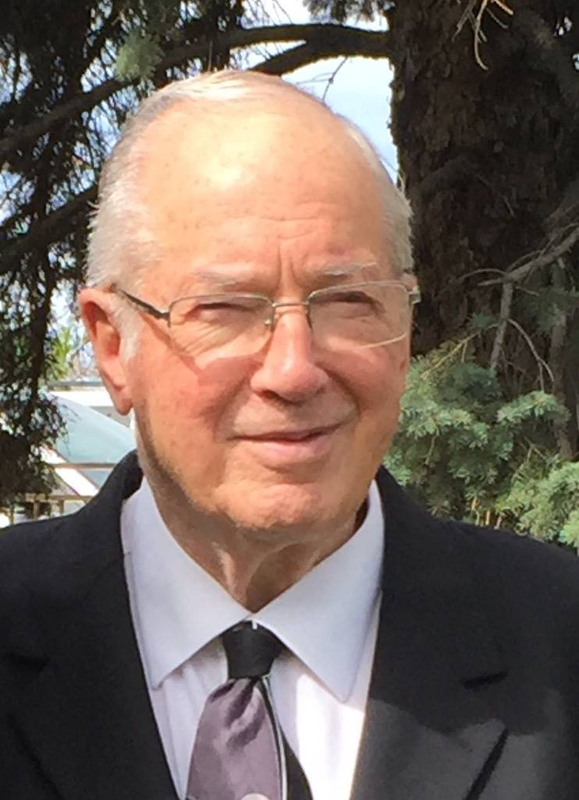 Arthur served as an ordinance worker in the LDS Mesa Temple for 14 years, and was devoted to family history work. He and Peggy also served a mission to the LDS Washington D.C. Temple in 2005-2007. In addition to his many professional and personal accomplishments, he is best known and honored as a loving husband and father. He is survived by his wife Peggy, and his seven children: James (Rosalyn), Mark (Tami), Steven (Leslie), David (Jinjer), Sandra Bishop (David), Daniel (Melanie) and Kathryn Hadfield (Greg), 36 Grandchildren and 39 Great-Grandchildren. He is also survived by his sister Carolyn Papke. Friday evening 6:00-8:00 pm at the Bunker’s Garden Chapel, 33 N Centennial Way, Mesa, AZ.